ONLYOFFICE Document Server is an open source office suite distributed under GNU AGPL v3.0. 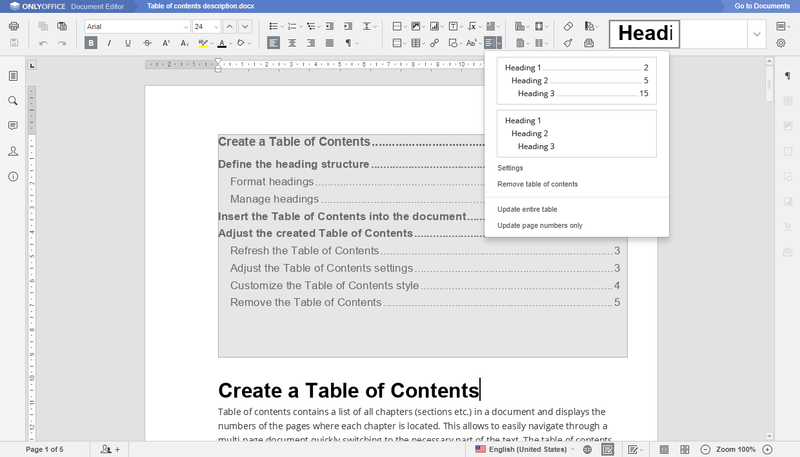 It comprises online editors for text documents, spreadsheets and presentations fully compatible with OOXML file formats, and enables collaborative editing in real time. You can install ONLYOFFICE Document Server as a standalone solution and integrate it with various cloud storage services like Nextcloud and ownCloud to collaborate on your docs stored there, or integrate into the solution you're building yourself using API, or install it integrated with ONLYOFFICE Community Server to get multiple productivity tools: CRM, projects, mail, chat, calendar and more. New font engine that allows replacing undefined 'square' characters, as well as more fonts in a default set. Table of Contents and Special Paste of tables in text documents. New formulas, date formats and regional presets in spreadsheets. New editing tools in Pivot Tables. Special paste with preserving the initial styles in presentations. Comments on the presentation level, not only on separate slides. In this tutorial, we'll learn how to easily update ONLYOFFICE Document Server to the latest version separately from other solutions to get new features. If you would like to update the whole ONLYOFFICE solution with Community Server, follow these instructions. In case you're new to ONLYOFFICE, get the latest version from GitHub. This step is required to avoid any data loss, as a document is saved only after all users close it after the editing process. Note that earlier Ubuntu versions might require manual installation of the mentioned dependencies. Now you can relaunch your portal, check it for proper work, and enjoy new features available in the editors.